One of the biggest debates in evangelical Christianity today is whether Adam and Eve were real people. Join Dr. Georgia Purdom as she delves into the genetics behind humanity. One of the biggest debates in evangelical Christianity today is whether Adam and Eve were real people. 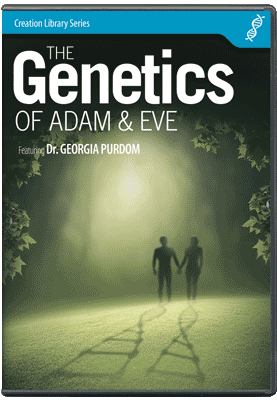 Sadly, many theologians and scientists say that genetics has disproven the existence of an original couple specially created by God. As a consequence, many have have begun to redefine sin and salvation. But the Bible's language is clear that Adam and Eve were real people. Their historical existence and fall into sin are foundational to the gospel of Jesus Christ. 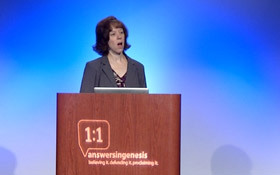 In addition, the science of genetics - including human and chimp comparisons, mitochondrial and Y chromosome DNA, and human genetic variation - confirms and is consistent with the fact that all humans have descended from an original couple specifically created by God as described in Genesis.